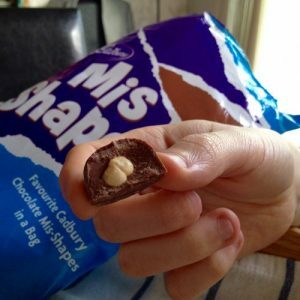 What’s in my Cadbury Misshapes? I’ve had last week off work so I’ve been on lots of adventures. OK, I’ve mainly been eating my way through the week. I’ve made pizza, ate pub lunches and chip batches (insert the ‘bap/cob/batch’ debate here), visited farm shops and had a weekend at Mum and Dad’s house which, lets face it, is almost like going on an all inclusive mini break with round the clock meals and snacks. We spent Thursday on a whistle stop tour of Chester. We have Chester zoo membership so we wanted to pop in for a quick look around to see some of our favourites. Cheshire Oaks is on the way and since it was raining we decided to go there first. It’s a big designer outlet place with something for everyone but as you will know if you’ve read my previous post about it that we basically just go for the chocolate shops. I was treated to a Patisserie Valerie cheesecake and obviously I popped in to the Body Shop to ‘try’ some strawberry body butter and then we grabbed a bag of Cadbury misshapes and headed to the zoo. I had a good feel of all the bags in the shop and I picked one I thought was full of strawberry creams or possibly caramel and prayed they weren’t those orange ones instead cos I’d be mega disappointed with 750g of those. To cut a long story short they weren’t strawberry. They were all solid chocolate (but Cadburys is Cadburys so no complaining from me) except for two which had hazelnuts in. You get at least two different varieties in each bag. 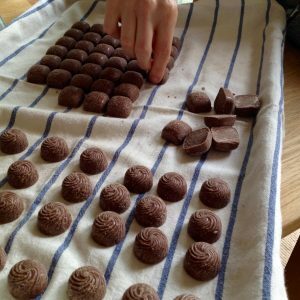 We got circle swirly ones which are the ones with the occasional nut so I think these are the hazelnut whirls you get in boxes of Roses. The other ones are square and just say Cadburys on so I’m not sure what they are supposed to be. I’m pretty sure strawberry creams have strawberry seeds stamped on top but then again maybe that’s Quality Street? The same goes for the orange creams because I’m sure they have an orangey design on top. As you can see in the photo’s, they’re not shiny like you’d expect a normal packet of choccies to be. That may be the result of its trip to the zoo and the journey to Coventry in my handbag, not to mention me squidging the packet to try and guess what was in it. 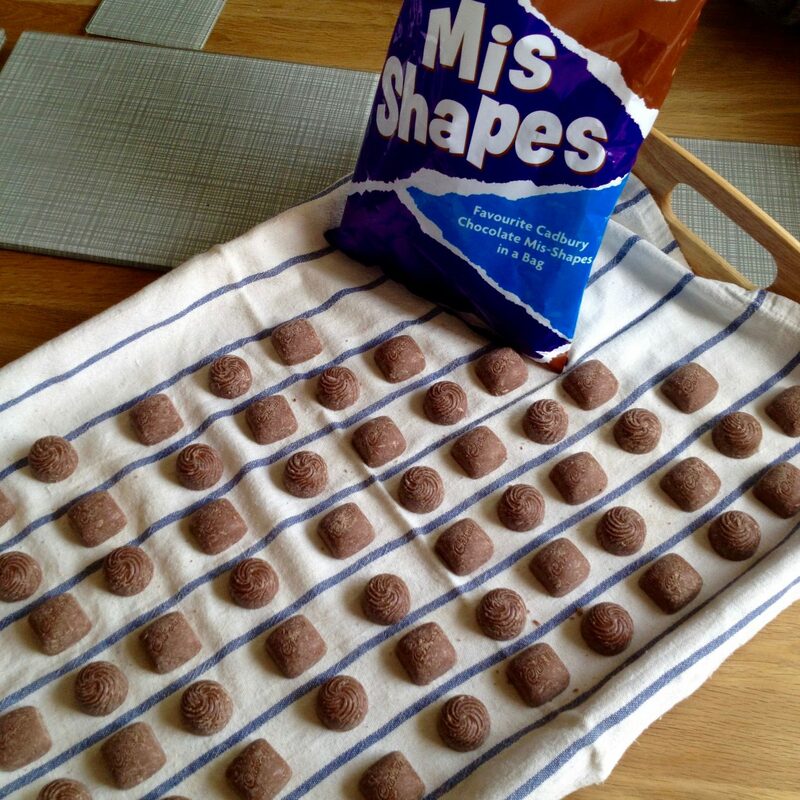 A 750g bag of Cadbury misshapes cost me £3.99 but I think the price can vary. I’ve heard people saying they’ve paid £4.99 and sometimes they’re on a better offer. You can find your nearest Cadbury outlet here. The Cadbury outlet shops also do 5 packs of lots of chocolate bars such as whole nut (I was so tempted) and star bars and with the special price it works out that you get about one bar free. They’ve also got chocolate biscuits, Toblerones and bags of sweets and the new Dairy Milk Medley bars and Big Taste bars. Take a look at my new peanut caramel crisp Big Taste bar review here! 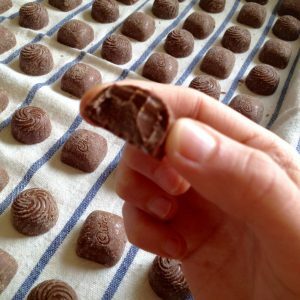 See what I thought of Cadbury Roundies biscuits or try one of my vintage Cadbury recipes! Thanks so much for your kind comments! We’re currently updating from our old website to this new theme. It is a paid theme but we are in the process of customising it to fit us better.